But should I give up? Do you ever feel 110% done with everything? Do you ever sit and wonder what the point is anymore? Ever feel like just giving up? Because same. Since about February I've stopped coming on social media as much, I fell out of love with Instagram and I've just loathed Twitter at times. Luckily I've found the love for Instagram again which has been a lovely, lovely feeling but I'm still not at that level with Twitter. January was a fantastic month on Twitter in my eyes, I loved the sea of positivity and support that was gushing through Twitter with everyone so excited for the new year to have finally arrived but it soon fizzled out. Queue the tsunami of negativity and "drama". Now, I know that life isn't always rainbows and butterflies, people cannot be positive 100% of the time because that's just not real life, things happen and of course people are going to talk about how they feel wether that be a bad MH day or just a crap day in the office, what ever it is people will talk about It, I'm the same, sometimes on a bad day I would moan on Twitter because I never really felt like I could let it out anywhere else. And I feel like this gives the full experience anyway, you get to know your fellow Twitter mates like this but it got to a point I felt like I was being too negative if that makes sense. I was always moaning about my health, what was going wrong in my life and it just made me sick of myself so I could only imagine what others were thinking seeing it all the time. But I feel there was a shift in energy on Twitter anyway and the more crappy stuff I read and saw, the worse it made me feel and then I would be in a foul mood, then post about how much of a mood I was in... never ending circle. I did start to notice Twitter impacting on my MH, I would loath the days where I KNEW I had to be online and when you run a blog and don't want it to come to a stand still you do have to keep engaging with people, talking to them and the likes, but I was so exhausted from the thought of coming on Twitter that I ended up just not doing it. There were a lot of different things going on for me the past few months, some I've been vocal about and some I haven't but I had to put my MH first in order to deal with my personal life and if staying off Twitter meant I was going to be in a better head space then so be it. After about a week away I was so excited to get back to Twitter, what had I missed? 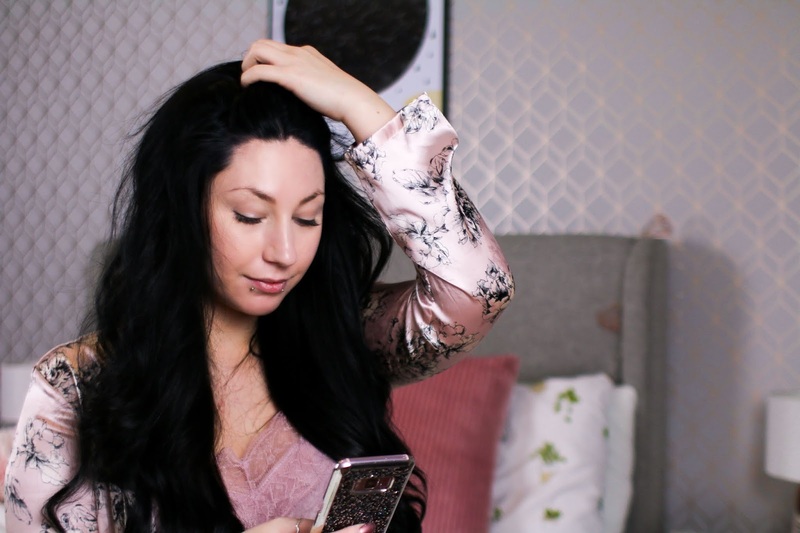 What were my favourite bloggers posting about? It all ran through my mind but when I came on there were a sea of notifications and messages, first off that shot my anxiety from 0 to 100 real fast. I felt awful I hadn't messaged people back or replied to them, I tried my hardest to get back to everyone but I think I did miss a few, not on purpose though, I was just overwhelmed. Then it came to scrolling through the news feed and every 10 tweets or so it was another ad for something completely ridiculous, not something I'm stoked about. Then there would be the indirect tweets ranting about another blogger then more tweets on it then even more. People would be bashing bloggers, then people bashing vloggers, influencers and more. I'm sorry but I'm just not here for that, I don't want everything positive 100% of the time but I also don't want petty arguments and so much negativity 100% of the time either. I got to thinking after this that maybe it was time for a clear out, unfollowing accounts that just didn't do it for me anymore or that were overly negative and I tried, I really did but I couldn't bring myself to hit the unfollow button over the fear it would just start some unsuspecting drama for no reason. It's a sad day when you can't tailor your online experience to your preferences without fear of offending someone. In the past I've been messaged by people that I've unfollowed who haven't been to happy about it and it made no sense. We didn't interact anyway so I didn't see the problem but apparently it Is and since then I have had this fear of unfollowing people just in case. I'm not a fan of drama to be honest, I like to stay well clear of it and definitely out of it but when there's things happening over very silly reasons it can become a worry that you'll be the next one sucked into it all. For me Twitter isn't the same, I'm not sure what happened in the short time I was away but I just feel a huge disconnect from It, I hardly speak to anyone anymore and that makes me sad but I'm also scared if I do start talking to them again I'll be shot down, ignored, and that I'll feel even worse. I have tried so hard recently to love twitter again now that I don't feel so bad, I've been able to get back to feeling like myself again so I have been trying very hard with twitter, maybe too hard but I ant to fall in love with it all again. Falling back in love with Instagram was easier, I had a clear plan of how to turn it around but Twitter? I'm not sure how to fix it, I don't know how to get rid of this feeling of not belonging, I just don't know how to be active and happy with it all again. 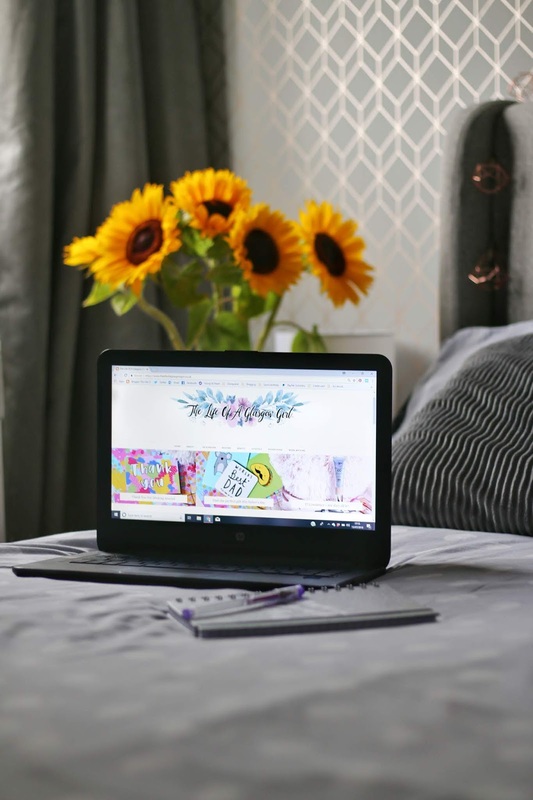 Twitter was always my favourite platform for socialising by far and now it's dropping right to the bottom of the list, because or this though I've also got the fear that my blog is coming to an end... is it time I just pack it in and say goodbye? I don't know how to work through this if I'm honest and that's scary because writing for me is such an escape, it's a huge passion of mine and I do love my blog so much, but right now I've got a lot to work through in my head to even consider this all being worth while. Feeling lost and rejected isn't a nice feeling, I completely empathise with anyone who is feeling this way right now because I wouldn't wish it on anyone. Hopefully one day soon I'll feel like I belong again but right now it's like I'm sitting on the side line watching everyone pass me by. Thank you so much lisa, I've just been feeling quite "bleh" with it all atm, I'm hoping if I keep doing what I'm doing that I'll get the motivation back and start to enjoy it again. Sometimes I do need some down time from it all, we all do. 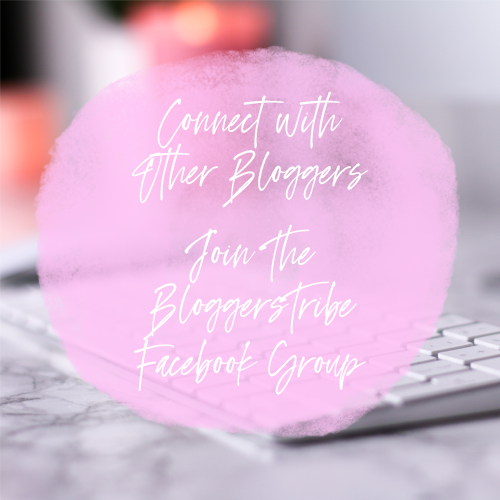 I always feel horrible when I can't get onto bloggerstribe to get stuff done, it worry me that people will think I don't care about the account any more but I need to get over that. What you need is a break. Conducting all the threads on twitter then liking and retweeting, I can imagine, can't be an easy job. You can't enjoy as much as we all do since you are mostly busy retweeting. Stop blogging or tweeting for a month, and take a proper break from social media. If writing is an escape for you (and I understand since it is for me as well), you don't want it to become a burden. What's the point if you are not enjoying it? Relax and come back with a refreshed mind. I'm sure that is all you need. Health first! I've had a HUGE break from it all, I took a few weeks away but I came back and I still feel like nothing has really changed. I think I have to find a good strategy that works for me. What you need is a break. Conducting daily threads, then liking and retweeting all the posts, I can imagine, can't be an easy job. I understand why it can become a burden. I'm so sorry you feel like that, but dont give up on your blog, I love it! I sometimes go through phases of completely loathing Twitter as I also feel like I dont belong. Everytime I pop a tweet up I hardly get any interaction even though I'm forever interacting with other people. 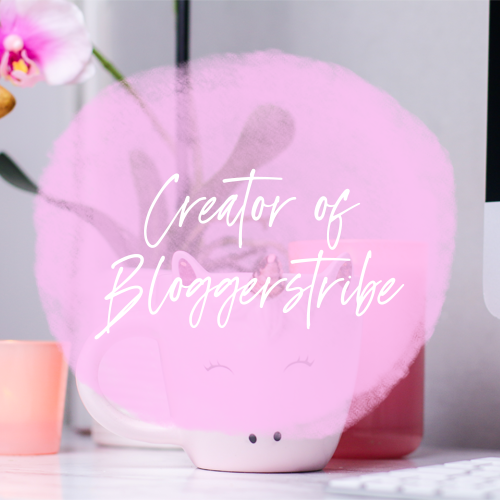 Then I question myself, am I good enough for the blogging community? My emails or DM's on Twitter are always open if you need someone to talk to. Hey Jordanne Your blog is an excellent read and I really enjoy it. Truth be told I think we all feel like giving up sometimes but I hope you keep up your great work and I'm certain I won't be alone in that.